Sidmouth Town Council have already expressed serious objections to the height of buildings ‘up to 15 metres tall’ in Fords’ planning application. 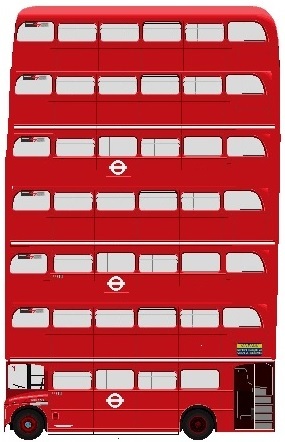 Imagine a London bus of equivalent height, to get some idea of the scale. The bus graphic underplays the height as the lower deck of a bus, with clearance from the ground, is greater than the upper deck. The graphic just seems to use upper decks. Thank you for pointing this out, Mary.